"Novatia have worked closely with us, as an emerging Academy Trust, to steer us through the process of the stakeholder consultation, ensuring that each step of the process was correctly actioned, including the distribution of all legally required documentation, as well as the convening of public consultation meetings for both schools. 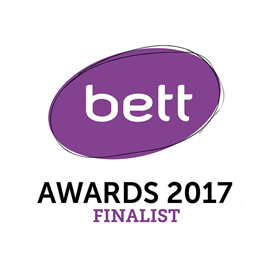 We look forward to working with Novatia in the future, as we begin to include other schools within the Trust and continue to grow as an innovative educational institution." In March 2014 Novatia won a competitive tender for a unique project. 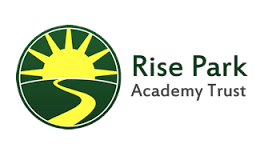 The work involved setting up the new Rise Park Academy Multi-Academy Trust (MAT) and then to project manage the simultaneous conversion of both Rise Park Infant and Rise Park Junior School into academies. The uniqueness of the project was reflected in the scenario of doing all 3 tasks together and also, as the Infant School would in fact sponsor the Junior School, via the newly created MAT. Novatia carried out the Section 5 Stakeholder Consultation work, project managed all aspects of the delivery and oversaw all legal work, as carried out by our legal partners. This evidences Novatia's broad spectrum of delivery and client support, which encompasses education, ICT, project management, legal and HR support – all of which can be packaged and tailored to meet the requirements of complex projects. All the work involving setting up the MAT and successfully completing the 2 academy conversions was carried to a tight timescale between April and August 2014. Novatia successfully carried out both Stakeholder Consultations with reports written for the MAT, Community and the DfE. This involved thorough and robust communication plans to engage all possible stakeholders, writing a detailed Q&A document on academy conversions (including all the key facts and pros & cons) and organising public stakeholder meetings during the consultation period. We also provided marketing and communication support to the MAT Trustees and Quality Assurance of the work of our legal partners. The work was well received by the Trust and both schools will open as academies in September 2014.